The Four Points by Sheraton Richmond is located among beautifully landscaped grounds, walking paths and serene lakes. Starting with the warm atmosphere of our lobby, we always have your comfort in mind. Make a splash in our indoor/outdoor pool enjoy an energizing workout in our fitness center. Enjoy delicious meals and drinks in our restaurant and bar. For meetings and events of all sizes, we offer nearly 8,000 square feet of function space and a business center provides support services. Home away from Home. 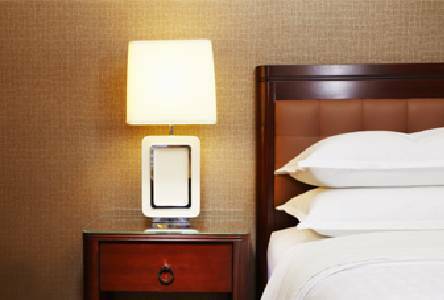 Our inviting guest rooms and suites have everything you need for a great stay including mini-refrigerators and microwaves. Take care of work at a spacious desk with High Speed Internet Access, relax in front of a flat screen TV and get a good nights sleep in a Four Points signature bed.